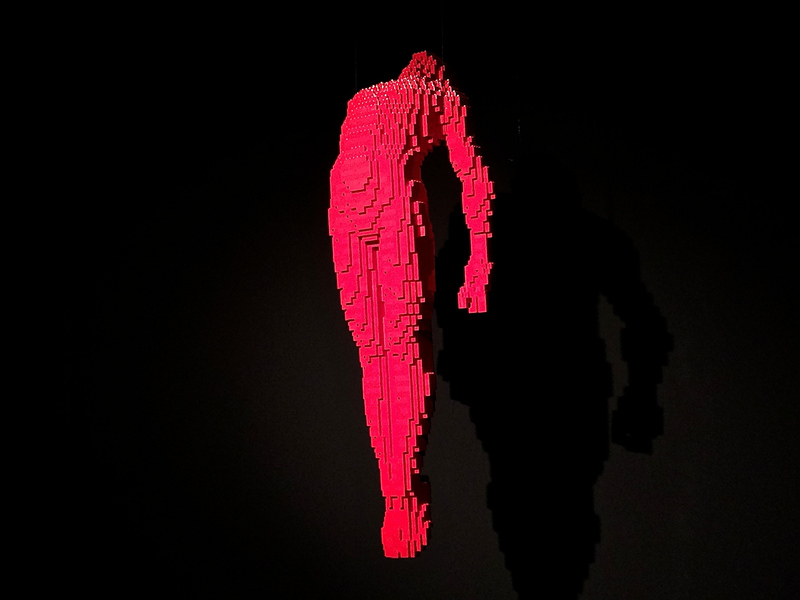 As soon as I saw the word LEGO, I knew I would be hooked but this Art of the Brick exhibit has taken me a little by surprise. 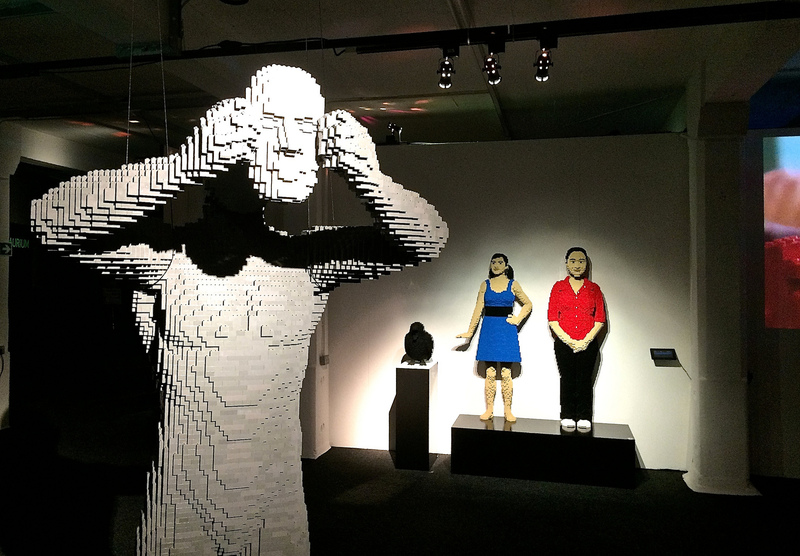 I didn’t expect the subtlety, the complexity or the emotional impact of some of the artworks created by these little plastic bricks. 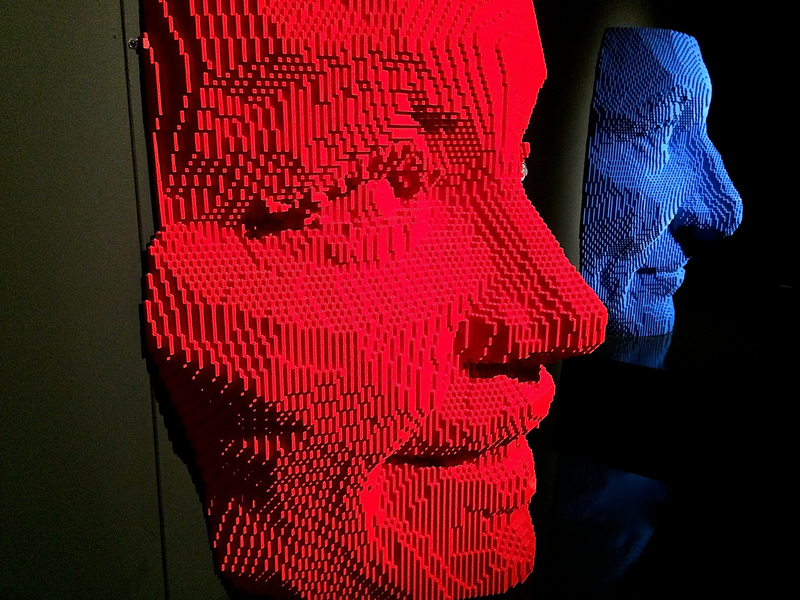 Based at London’s Old Truman Brewery until 4th January 2015, this travelling exhibit is drawing in the crowds with its accessibility and the artist’s own encouragement to take photographs and to share on social media. 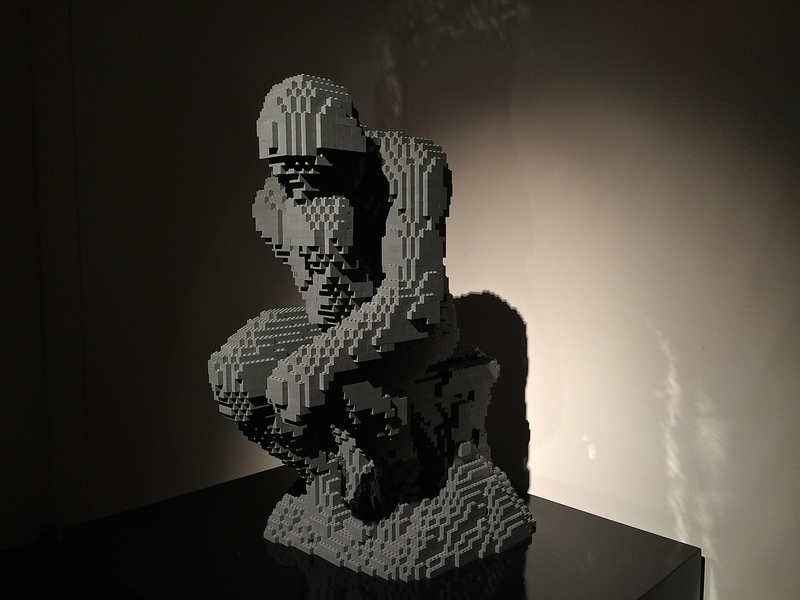 Nathan Sawaya, a New York-based artist, who has chosen to work only with Lego, starts the exhibit by displaying his technical prowess with replicas of those time-honoured classics of old – Michelangelo’s David – Rodin’s The Thinker or Gustav Klimt’s The Kiss. They are immediately recognisable, albeit through eyes which seem to have become a little pixelated. Some of the exhibit has echoes of Pop Art – Peter Blake and Claes Oldenburg in particular. Pop Art updated for today – whether that’s just Cello, an apple, a telephone box or The Beatles! Technically assured but for me, no particular connection beyond recognition. Perhaps this is the warm-up act, to introduce you to the medium and let your eyes get accustomed to the blur. My Boy however is something very different. 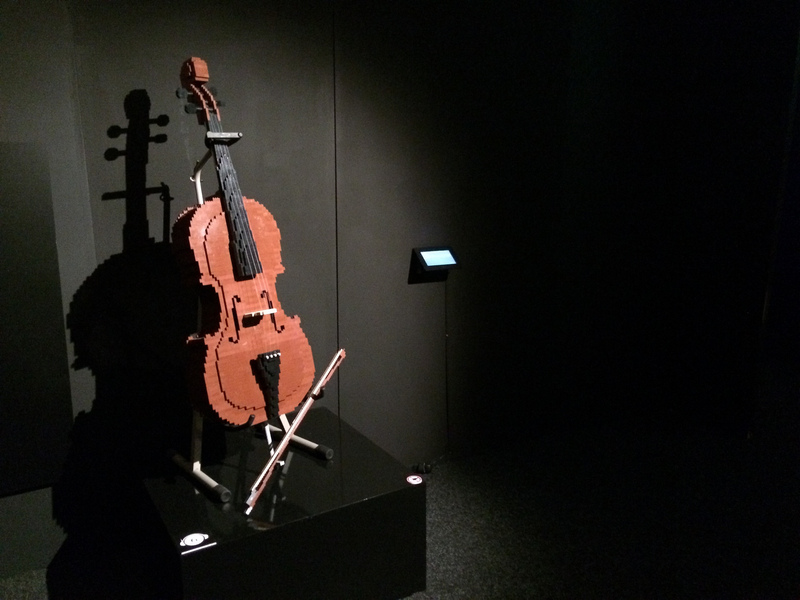 It’s as if the exhibition has turned up a notch – revved into a new gear. This is a portrait of loss which has the emotional punch of a pieta. Equally, there is something sinister and unsettling about the giant MASKS, endlessly engaging with you and strangely lifelike, even in vibrant hues of yellow, red or blue. 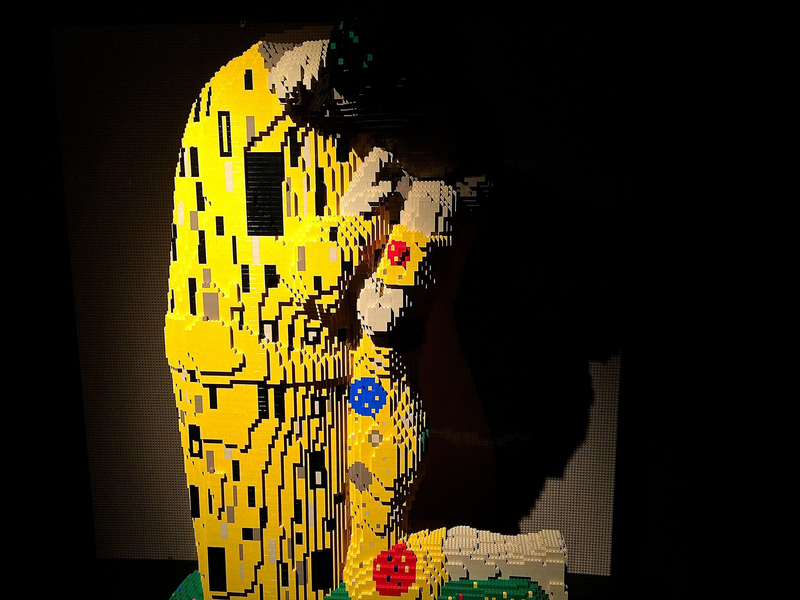 And Yellow – the “poster boy” for the exhibition and the definitive crowd pleaser – ripping open – by this time, you almost forget it’s made of Lego – you are confronted by real angst – and it evokes an emotional response. 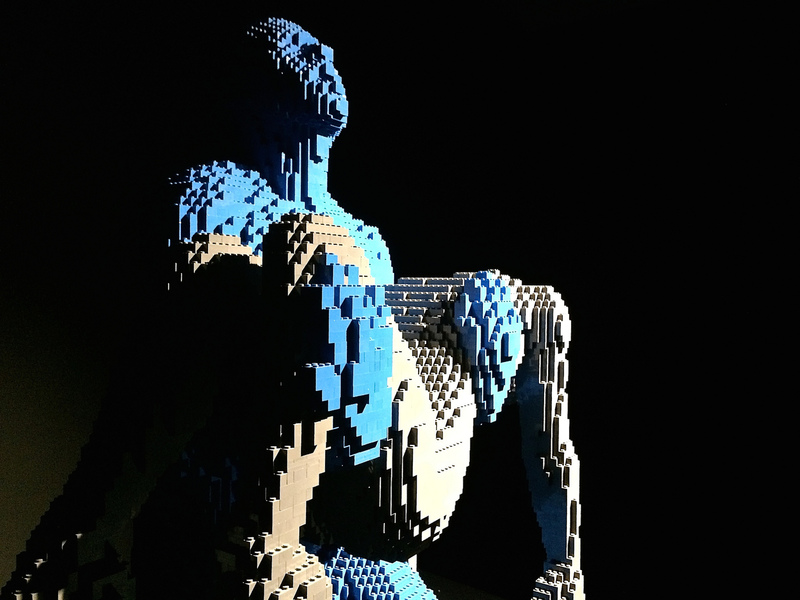 It seems to me that your journey around the exhibit allows your eyes to train, to become attuned to the Lego medium before unleashing those pieces that really take your emotions to a new level. 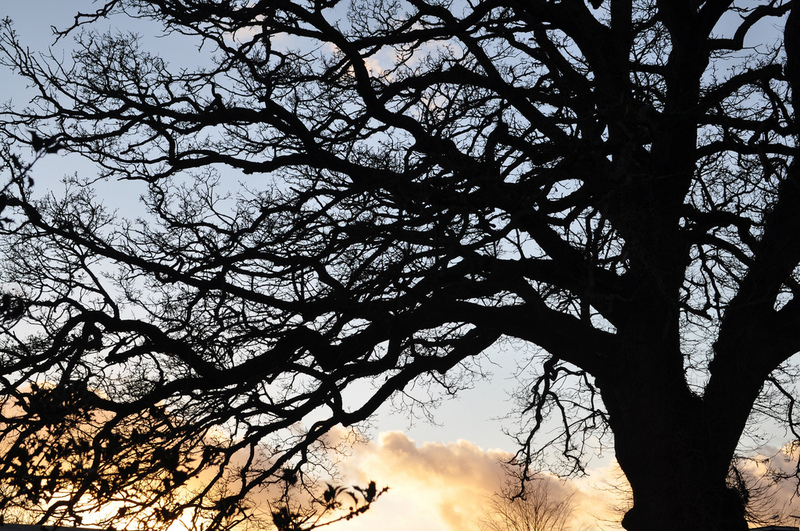 Look at Ascension – surely something a little Christ-like about it. And is that a little T S Eliot? Preparing a face to meet the faces that you meet? Or am I becoming too fanciful? And what about Deep Despair below. It’s like Dr Who’s Cyberman has become emotionally unstable.You start seeing references to your own interests and world everywhere. 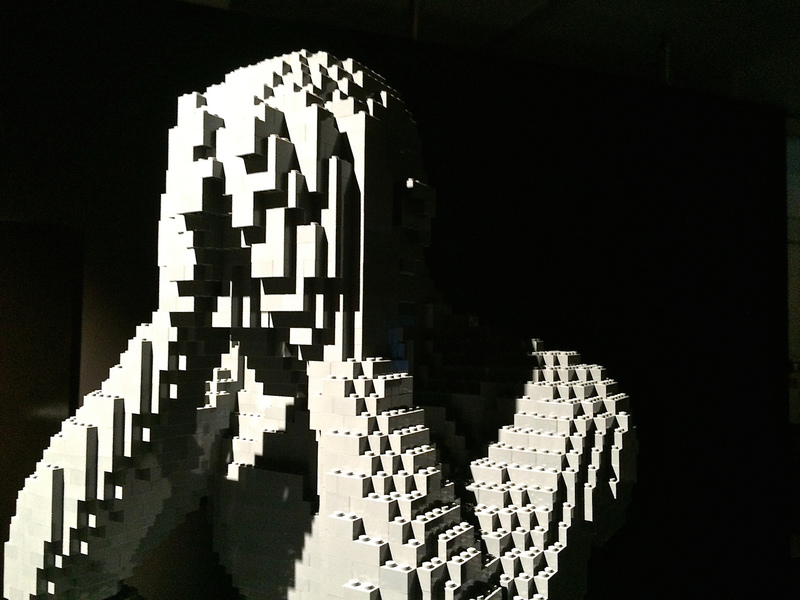 I went to see what on earth this Lego exhibit was all about. It engaged swiftly from the beginning. It was by turn amusing, thoughtful and really unnerving. 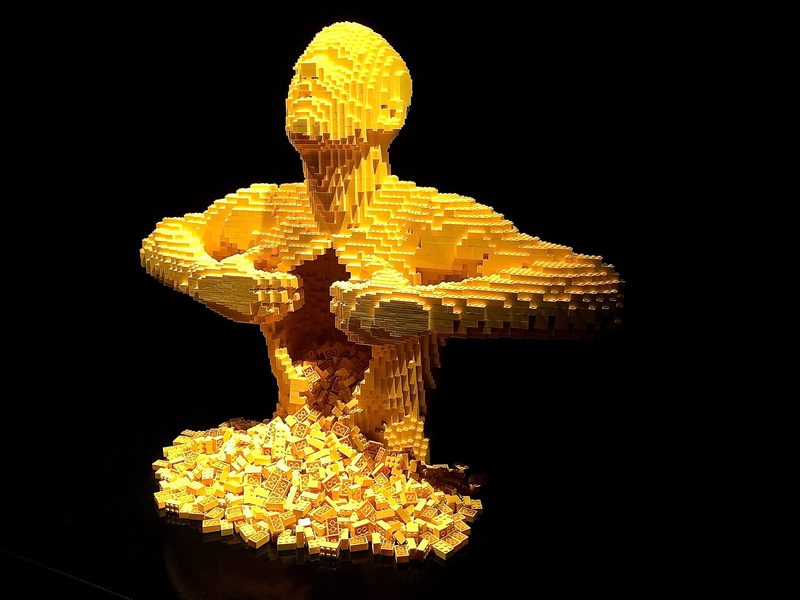 It’s quite shocking what an impact these little plastic pieces can make, when used by an artist of the calibre of Nathan Sawaya. Put away any preconceptions and go see what you think. This exhibition is really worth it. 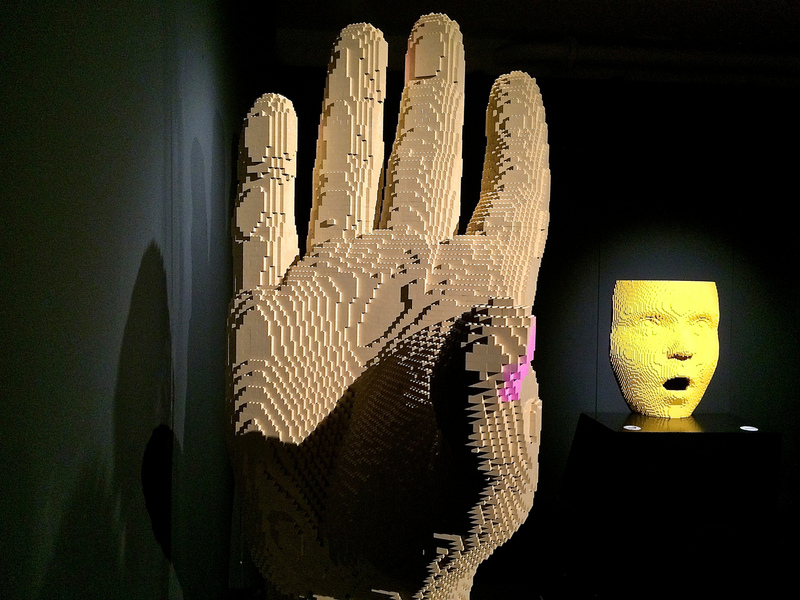 The Art of the Brick, Old Truman Brewery, Loading Bay, Ely’s Yard, 15 Hanbury Street, London, E1 6QR. 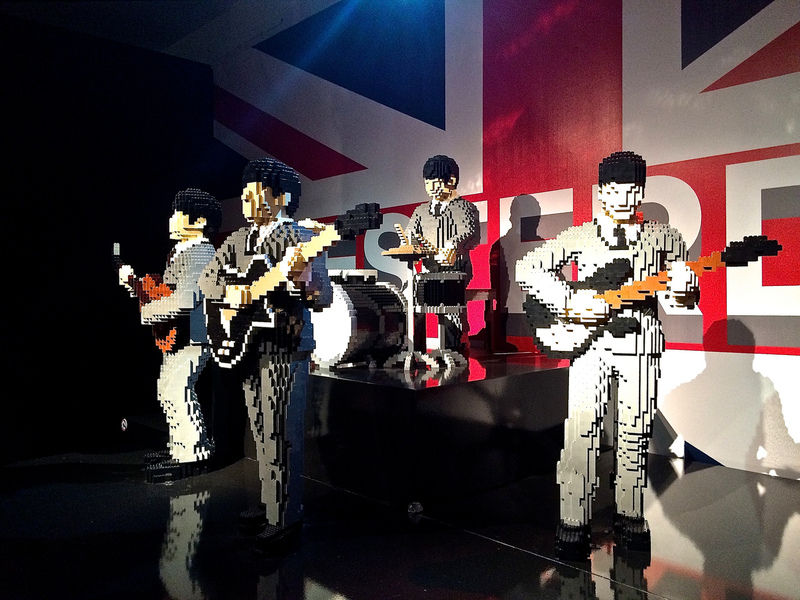 Exhibition on until 4th January 2015 – adults GBP14.50. Over 80 sculptures on show. Nearest tube: Liverpool Street Station.